"How would you encourage other young ladies in spending time wisely?" There are many things that come to mind when I think about how to answer that question. But at the moment, one of the things that is greatest upon my heart when it comes to spending time wisely, is investing in the lives of the children God has placed in your life. I am speaking to myself when I say this-there are so many moments that I "miss" for spending time with my younger siblings and the other little people in my life. But it is a passion God has given me, in spite of the many moments that I fail. Earlier this summer, I was talking to a married friend and one of the questions I asked her was if there were any things she would do differently, if she was single again. "I would take more time to help busy young mothers with their children/families". As she shared this with me, I had to think back to a time a number of years ago when my mother told me the very same thing. I remember when I was just twelve or thirteen, my mother telling me that some of the best experience I would ever get for mothering would be to help other mothers in managing their homes and children. So I started then, occasionally going to help various mothers in our community/church/etc. As I have done this over the years, it has been one of those choices that I have NEVER regretted. I have learned more about how to run a house, and how to not run a house, than I ever could've imagined! I look back and am so thankful for the instruction and wisdom that I gained from observing and working in each home. "So do you plan to have as many children as your parents? Or as many as you can?" This is not because I've been brainwashed into the "quiverfull" movement. It is not a decision that has been forced on me. It is a personal conviction that I have, and it is so strong that it is honestly just a part of who I am. My parents, over the years, have made a practice of very simply just explaining to my siblings and myself the biblical meaning/verses behind why they do what they do. Choices are not forced on us. We are never told that we "have" to believe something. Instead, they have just given us the scriptures behind different decisions they've made, and told us to search them out for ourselves. 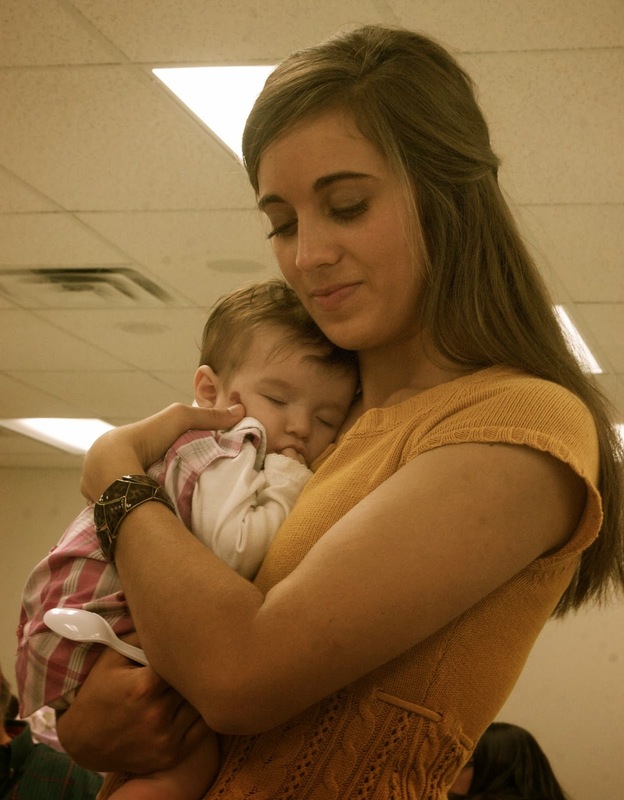 "Lo, children are an heritage of the Lord, and the fruit of the womb is His reward." I honestly do not understand how so many people completely miss this verse. Why is it so hard for people to believe that God means what He says? Who in their right mind would want to miss out on God's REWARD? And seriously. How could that verse mean anything other than what it says? If someone told you that you could have $1,000, you would be CRAZY to tell them that you only wanted $100. You would be crazy to purposely prevent them from giving you the remaining $900. And yet that is what thousands upon thousands of people are doing today. Preventing God from giving them the blessing, the REWARD, that He says is an HERITAGE. I don't know about you, but there's no way I want to miss out on a heritage from the Lord. What a promise! What a gift! My sister took these pictures last week, right after our pastor's little girl feel asleep in my arms. There's almost nothing as precious as holding a sleeping little baby. Nothing quite like hearing their soft breathing, and feeling their warm little selves as they snuggle in their sleep. This little cherub was the baby I asked for prayer for back in April. I'm so thankful that the Lord spared her little life and He continues to allow her to bring joy to so many people, including myself. I love the little smiles she gives me while I heard her during services. I love the chuckles that I occasionally win from her when I coax her into laughing from tickles and hugs. I love when I'm holding her and she's peacefully sleeping with not a care in the world. I challenge you to seek the Lord, and to search out your own heart on this. Are you viewing children as the BLESSING that they are? Because they truly are, as He says, a BLESSING. Thank you very much for this encouraging post. I too would love lots of blessings from God, and hope to be abundantly blessed. Thank you also for the idea of taking time to work with kids-especially in this "season" of life. Just recently I got the idea to start a children's get together on Fridays for young children. (newborn to 7 or 8) I'm excited about my new plan, and look forward to starting. I'm hoping to have a Bible study, then Bible games, and some sort of "good work" for the kids. (Card making for the sick, going to a nursing home, cleaning someone's home, making cookies for the needy, etc.) Anyway, thanks for sharing! I am the oldest young person at church so that means I spend my time with the mothers and children. :) I love to spend my time with the children and I help the mothers who need help or I will hold there baby for them so they can do other things. I have been blessed so much by just helping others and it is a way to bless others as well. :) I do not know if this is helpful to any of you, but I been blessed by others in this way. What a blessing you are to other Chelsy. such a great reminder...appreciate your heart, Chels!! Chelsy, I love what you wrote in this post, especially in connection with the answer to your second question. May I be the first to say AMEN! Sister. I don’t know how or even when I came to this same conclusion on this subject; I just know that I would desire to have as many children as the Lord would bless me with because of the incredible blessing and joy they bring as well as being a heritage and a reward. Blessings! :-) And thank for sharing. Thanks for being and encouragement to so many! I enjoyed reading your post especially the part about Psalms 127:3. I've read that verse over and over again and have never thought of it that way! Thanks for the thoughts you shared! First is this: I definitely agree that children are a blessing! I love any time I get to spend with children (though I have to admit that I enjoy it more when the children are consistently disciplined by their parents, vs. just being allowed to practically run wild)! However, I want to encourage you to remember that just because a particular family only has one child doesn't automatically mean they don't believe children are a blessing. For example, my parents love children. Nothing they have ever done has shown me otherwise. But they struggled to conceive. After trying for five years, which included one miscarriage, and me being born 3 months prematurely, they finally had their one child. But they were frightened to try for more. They felt so grateful to have me that they were content. And it has turned out to be a blessing for us to be a small family because of our personal circumstances. Also, sometimes I think the reason folks choose not to have many children is because they are daunted by it...if they just don't believe they are capable of raising that many. It may not be a legitimate reason, but it's one I've considered when coming to my own conclusion. Thanks for your thoughts! I'm not trying to be critical of others-just want to challenge people to stop thinking with such a messed up mindset when it comes to children being a blessing! Believe me, even the parents that choose to welcome all the children God gives them, are often daunted by the task ahead. I think its safe to say that EVERY parent is daunted at some point and time? I'm daunted by the odds that I face with a lot of the things that I do...but I still do them because its my conviction, not a choice based on the level of difficulty involved. I think it just comes down to trusting God-relying TOTALLY on Him for strength and grace, no matter what we "think" or how we "feel". Because feelings and fears will definitely lead us astray! The Lord is the only One who is reliable to help and guide us! Chelsy! What a amazing and perfectly-put-together post!! So true! 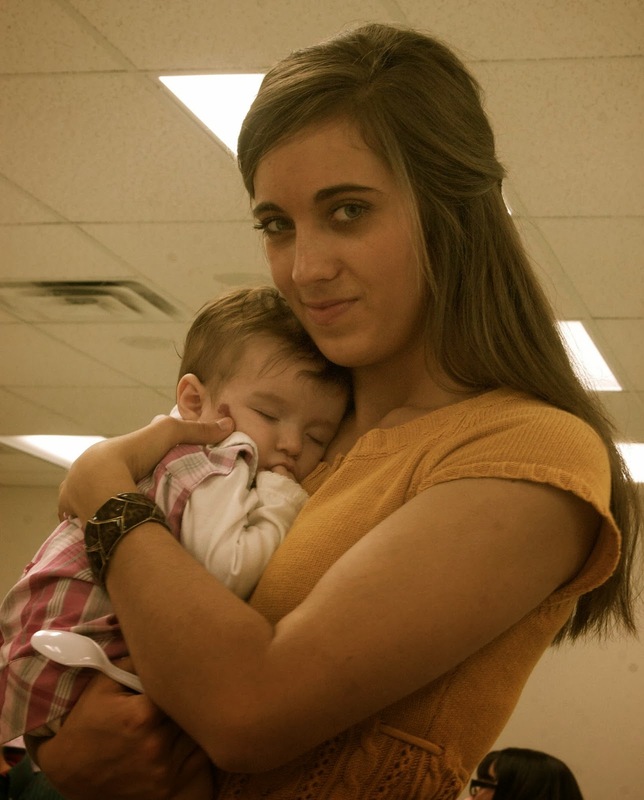 It always breaks my heart to hear of or see children that are un-loved, or neglected! Children truly are a blessing and have a very special place in Gods heart! I absolutely agree with you Chelsy! ( I am one of your mostly silent viewers!) I am a busy college student so I don't have a lot of time to help families out like I wish I could! 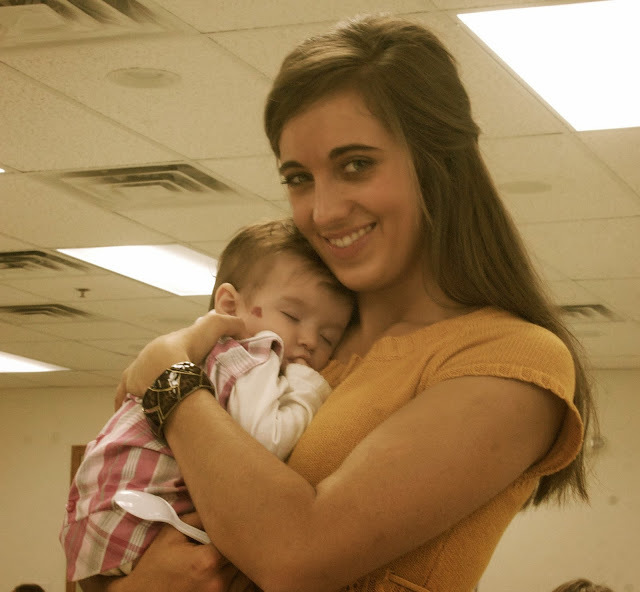 The only time I get to help with children is in the nursery at church! Especially since I started school, I make it a point to help out every Sunday! It is one of my favorite hours of the week! btw, I also started doing this because I wanted to prepare for having a family someday! While I'm at it, I absolutely love your blog! I'm always encouraged when I read it! You go girl!! I so enjoyed this post! I truly appreciate when others help me out with my 3 little ones, it really blesses our family. And on the other side, I really wish I would have taken more time when I was single to invest in other families and to glean from them. One family that I babysat for quite often was a major way that God spoke to me and convicted my heart of standards my future family would have. You will never regret that time of helping others! Thanks Kayla! It was so good to meet your sweet family in Shipshe the other weekend! So glad the Lord allowed our paths to cross! 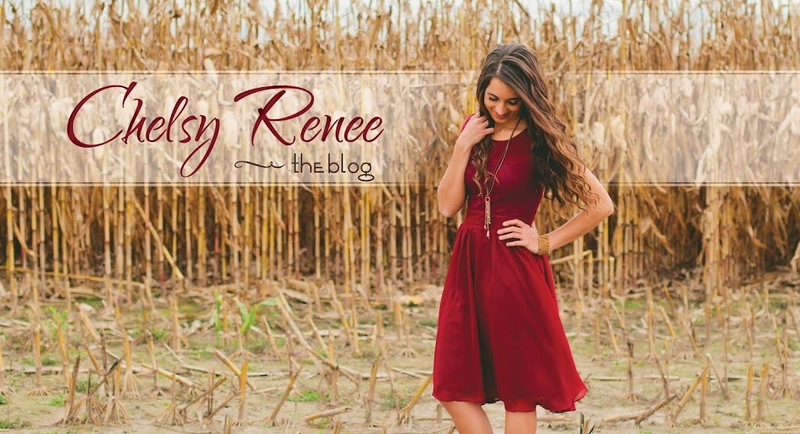 I was so blessed + inspired to read this post, Chels. Such a great reminder to invest in those younger blessings that our Heavenly Father places in our lives. <3 Our family was at the wedding of a dear friend on Saturday and a few friends + I had been asked to serve punch at the reception. After a while many little hands were soon desiring to help and even though the punch may not have been absolutely "perfect", may have taken a bit longer to make, and my patience was stretched when they were encouraging me to scoop the ice cream fasterrrrr into the punch :), I was reminded how it was an awesome opportunity to share with these sweet friends how truly fun + memorable serving others can be! One younger girl was especially bouncing around with excitement that she was able to help with something at a wedding for the first time. :) Anyway, praying that I wouldn't miss opportunities that the Lord gives and so thankful for younger friends! One of the things they have encouraged me in is noticing in thankfulness the blessings around us from our Heavenly Father. [Like how they can be super excited about that bird flying through the air and the grass outside. So sweet.] Thank you so much for sharing your thoughts with us, Chels, and those pictures are pretty adorable, too. :) Holding a baby, having a little one climb into your lap during church, or going on outdoor adventures with the kiddos definitely can cause one's heart to sing. =) Blessings! ~EB.